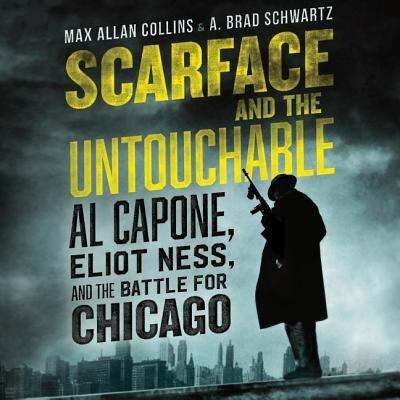 A legendary novelist and acclaimed rising historian combine talents in this groundbreaking dual biography of Al Capone, America's most notorious gangster, and Eliot Ness, the upright Prohibition agent who helped bring him down.In 1929, thirty-year-old Al Capone was the undisputed king of Chicago, ruling not only the city's gangland, but by proxy, the city's corrupt municipal government as well. A criminal who built an empire flouting the despised Prohibition laws, Capone was popular among ordinary Chicagoans. But with the Saint Valentine's Day Massacre, when his henchmen brutally murdered seven bootleggers in a Chicago garage, Capone became "Public Enemy No. 1." Overrun by gang violence, the city was in need of federal intervention-and a new hero. They found him in a young, straight-arrow federal agent named Eliot Ness-a scrupulously honest man in the most crooked city in the country.A man of unimpeachable integrity eager to uphold the law, the twenty-seven-year-old FBI agent quickly made a name for himself-and an enemy among the local mob-conducting a series of raids and arrests around Chicago. When he was promoted to head the newly formed "Capone Squad"-the legendary band of agents known as the Untouchables-Ness set his sights on catching the biggest fish of them all.As they tell the interlocking stories of two fascinating American icons, Max Allan Collins and A. Brad Schwartz offer not only a gripping crime read, but a probing examination of 1930s America, and two very different conceptions of the "American Dream."